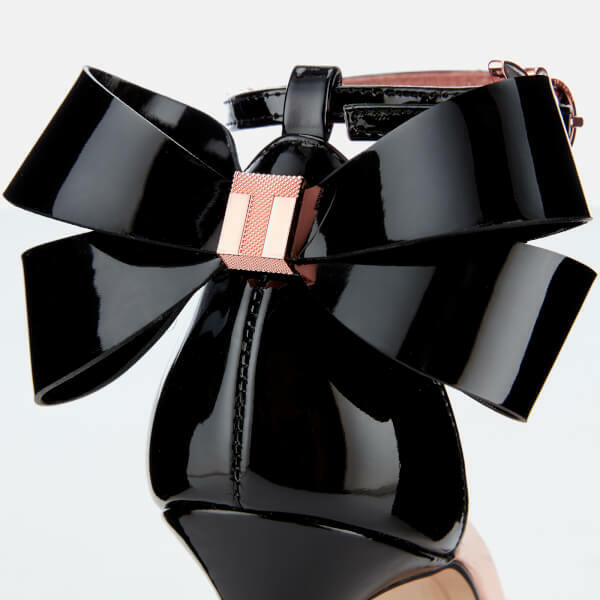 Women's black patent heeled sandals from Ted Baker. 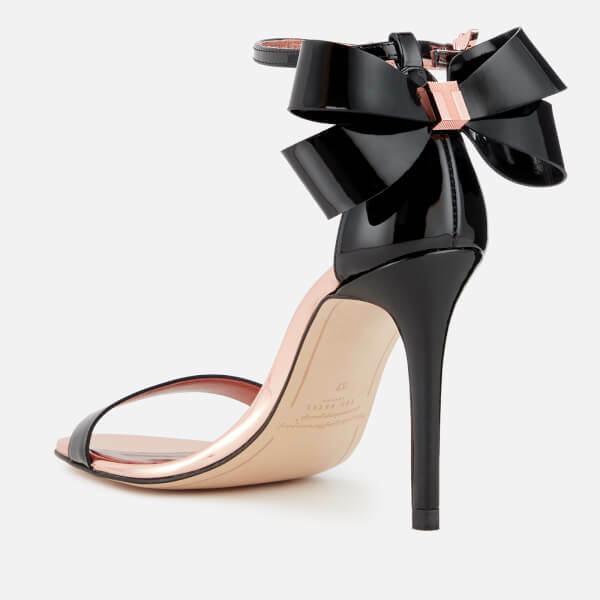 Crafted from quality leather with a high gloss finish, the 'Sandalo' heels showcase a barely-there design with an open toe, a single strap across the vamp and oversized bow detailing. Secured with a pin buckle ankle strap with sparkling diamante embellishment. An Ortholite foam footbed provides superior cushioning, breathability and antimicrobial properties. Set upon a 4 inch stiletto heel. Rose gold accents and 'T' logo branding complete the design. Upper: Leather. Lining: Bovine Leather. Sole: Resin.